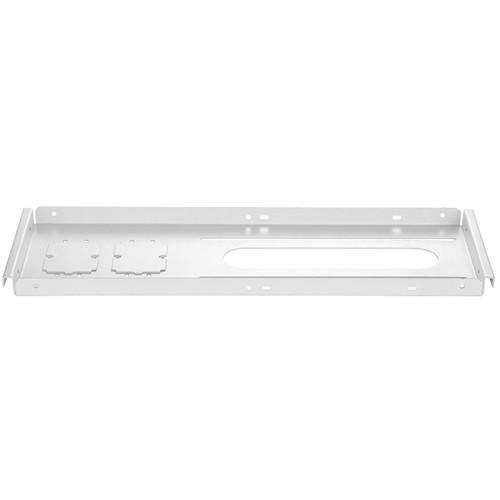 We recommend checking out our discussion threads on the Atdec TELEHOOK 8" Suspended Ceiling Tile TH-PT8, which address similar problems with connecting and setting up Projector Mounts Atdec. The user manual for the Atdec TELEHOOK 8" Suspended Ceiling Tile TH-PT8 provides necessary instructions for the proper use of the product A/V Presentation - Mounts & Carts - Projector Mounts. The Atdec TELEHOOK 8" Suspended Ceiling Tile allows you to neatly mount projectors into suspended ceiling structures to provide a stable and secure attachment platform. Designed to slot into a grid matrix, it fits perfectly into suspended 8x8" and 24x8" matrices but can also be used with other configurations. In an ideal setup, this Suspended Tile installs above the ceiling tile and attaches to various roofing structures, such as cement, wood, and metal or timber beams. It allows for positional adjustment that may allow for fine-tuning of focus and alignment depending on orientation. Two removable "push-out" panels allow the installation of optional electrical blocks and cable sockets. Electrical blocks can be mounted face up or down depending on the installation requirement. A high-tensile stainless steel security cable is included that provides added protection against matrix failure. If you own a Atdec projector mounts and have a user manual in electronic form, you can upload it to this website using the link on the right side of the screen. The user manual for the Atdec TELEHOOK 8" Suspended Ceiling Tile TH-PT8 can be downloaded in .pdf format if it did not come with your new projector mounts, although the seller is required to supply one. It is also quite common that customers throw out the user manual with the box, or put the CD away somewhere and then can’t find it. That’s why we and other Atdec users keep a unique electronic library for Atdec projector mountss, where you can use our link to download the user manual for the Atdec TELEHOOK 8" Suspended Ceiling Tile TH-PT8. The user manual lists all of the functions of the Atdec TELEHOOK 8" Suspended Ceiling Tile TH-PT8, all the basic and advanced features and tells you how to use the projector mounts. The manual also provides troubleshooting for common problems. Even greater detail is provided by the service manual, which is not typically shipped with the product, but which can often be downloaded from Atdec service. If you want to help expand our database, you can upload a link to this website to download a user manual or service manual, ideally in .pdf format. These pages are created by you – users of the Atdec TELEHOOK 8" Suspended Ceiling Tile TH-PT8. User manuals are also available on the Atdec website under A/V Presentation - Mounts & Carts - Projector Mounts.